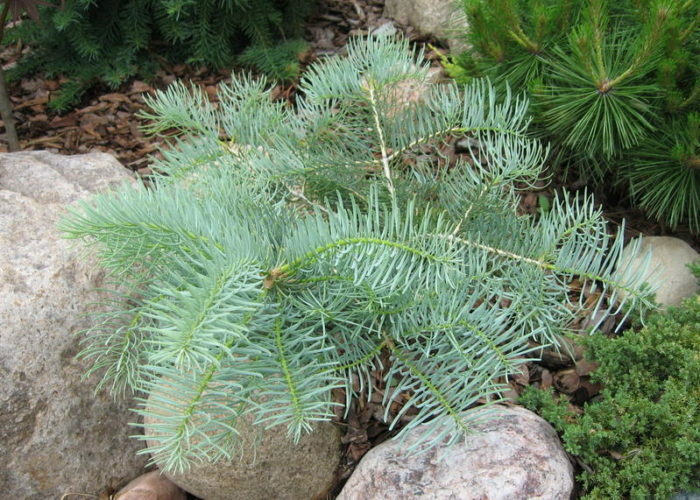 Abies concolor 'Wattezii' is a low and slow-growing plant wit an irregular habit. The new shoots emerge creamy and change to greyish Blue. In ten years up to 59 x 47 inches (150 x 120 cm). Exceedingly rare. Needles pale yellow when young, becoming yellowish-white, and finally assuming a pale Blue color. Pretty in May and June. Slower than normal but not a dwarf. Abies concolor 'Wattezii' Another beautiful photo donated by Daniel Wols from outside of Chicago, IL.